It’s New Year’s Eve. The dawn of a new year. The last day before 2014. A New Year offers excitement, hope and the chance for many people that the New Year will bring new happiness, better outcomes and chances to put the bad behind them and bring in a change for the better. An interesting article in the “Society” section of Time by Jessica Lamb-Shapiro titled “New Year’s Resolutions Are Bad for You” raises some insightful points as it relates to the tradition of making resolutions each new year. The idea is that as each New Year approaches, many people make a determination to do something different than they had been doing the previous year. It could be many things. Losing weight, exercising, taking up a new hobby, quitting smoking, not repeating destructive patterns, getting back involved in an activity that they had as a youth, volunteering more. There are as many different New Year’s resolutions as there are people making them. The interesting points brought up in the article are that New Year’s resolutions have become rhetoric. Platitudes. They are often without value. Certainly the person making the determination to change wants to change, but rarely do they actually do anything different. Sometimes, just making the resolution makes them feel a little better, like they have accomplished something, so they stop there. They take no action and thus there is very little meaning or value in the actual resolution. Most of the time, someone that makes a New Year’s resolution takes little or no action related to the resolution and stays the same person, continuing the same behaviors and repeating the same patterns. This is closely tied into overcoming addiction and alcoholism with recovery. Like someone wanting to quit smoking or lose weight as a New Year’s resolution, someone that wants to stop using drugs or drinking often make many determinations based on that destructive behavior. Someone that wants to quit smoking realizes cigarettes are bad for their health and might be killing them. Someone that wants to lose weight realizes they have gotten fatter or more out of shape and that there are both health and emotional consequences to the added weight. Someone that wants to explore a new hobby realizes that they have become stagnant and need to find new and interesting and creative outlets for their time and realize without that there are consequences. And similarly when making a firm resolution to stop, someone with a drug and/or alcohol addiction realizes the physical and emotional damage that their drug use and alcohol abuse has on their life and the lives of their family and friends. They see the damage of drugs and alcohol. They want to stop. They often will make the determination to do so. “This is my last drink,” they may say. “I need to quit. I’m not getting high,” or even “I’ll stop tomorrow.” And they will absolutely mean each of those statements. However just like the many New Year’s resolutions that often are spoken but rarely followed, these decisions are merely intentions. Good intentions, perhaps, but still only intentions. And recovery from substance abuse and chemical dependency does not occur because of good intentions. Making a decision to overcome a drug addiction is merely a good idea. That’s all. Just like a New Year’s resolution to stop smoking or lose weight or take up a hobby or give more money to charity, nothing will happen if not followed by a course of action. In order to quit smoking, one must take a planned course of action to do so. The same with weight loss. The same with taking up an activity. And absolutely the same with addiction and alcoholism. How many times has an addict or alcoholic or someone suffering from some sort of substance abuse issue made a declaration to stop that behavior? Often that total can number of the dozens or even hundreds. 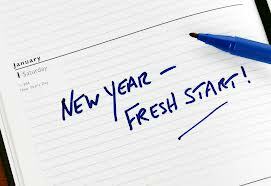 Wanting to stop or declaring to stop or make a New Year’s resolution to stop using drugs and alcohol isn’t enough. It must be followed up by action. There are things to do. If physically addicted to pills or heroin or alcohol, a medical detox is necessary. Physically, the drugs must be removed from a person’s system. This can be done at an inpatient or an outpatient setting. Typically the next step is to get immediately into a substance abuse treatment facility. Again, inpatient treatment or intensive outpatient treatment for chemical dependency are both options. But drug treatment is important. And any good treatment facility will support other avenues of recovery, most notably Twelve Step fellowships such as Alcoholics Anonymous or Narcotics Anonymous. And involvement in a Twelve Step fellowship does not simply mean attending meetings. Rather it means taking action within those fellowships that support and further recovery: getting connected within the fellowship of recovered addicts and alcoholics, getting a sponsor who can guide the newly clean and sober person through the twelve steps, and actually taking the Twelve Steps. Additionally, a quality substance abuse treatment facility will look to involve the family of the addict or alcoholic into their treatment. This aids in supporting the client’s personal recovery but also aids in the recovery of the family. Because when the family (who has obviously been suffering due to their client’s drug addiction or alcohol abuse) gets healthy, that aids in the suffering addict gets healthy and clean and sober. The treatment center may even suggest outside support for the addicts family through the Twelve Step fellowships dedicated to helping the families and loved ones of addicts and alcoholics, Al-Anon and Nar-Anon. Making a specific plan of small, individual steps to achieve the desired goal of sobriety or being drug free or overcoming addiction and alcoholism is a much better plan for success than large, generic, abstract goals like “I’m quitting tomorrow” or “I’m not drinking anymore.” Because small, specific steps are much easier to comprehend and follow and a better blueprint for achieving a desired outcome. Saying “I’m not getting high again” when that same person has been getting high for years and failed at stopping is a recipe for failure. Heaps of evidence suggest a basic resolution to stop is doomed to fail and therefore holds no value. However, saying “I need to stop taking drugs and drinking, so I’m going to let someone know I have a problem and then call a detox or rehab” is a better plan. Tell your loved ones you need help. Ask around about rehabs and treatment centers. If you don’t know anyone that’s been (which is highly unlikely), ask around anyway. Everyone knows someone that has been to treatment or is sober. Get the number to a quality treatment center. If you don’t know a number, here’s ours: 410-773-0500. If we aren’t the best drug and alcohol treatment center or don’t offer the level of care you or your loved one needs, we’ll help you find one that’s better equipped to help. Look up online a meeting list for Alcoholics Anonymous (www.aa.org) or Narcotics Anonymous (www.na.org). These are all small, specific actions that you can do that will help turn your resolution of getting clean and sober into a realization. Into a reality. Words are just words. Wanting to do something or needing to do something isn’t the same as doing something. Recovery from drugs and alcohol, from substance abuse and chemical dependency, from addiction and alcoholism requires action. And you don’t have to wait till tomorrow. You can take action today. If you or someone you know is suffering from drugs and alcohol, please call us at 410-773-0500 or email us at info@marylandaddictionrecovery.com. If we can’t offer the best help for them here at Maryland Addiction Recovery Center, we will work with you to find the best quality help available.